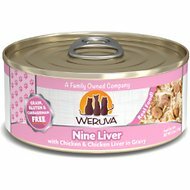 Supports digestive and urinary health by providing adequate hydration from tasty broth-based gravy, and includes fiber for healthy tummies and hairball control. 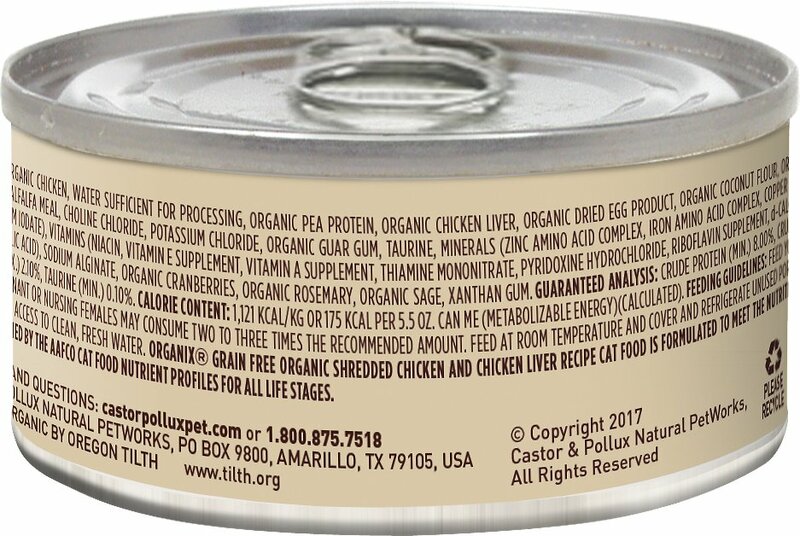 Organic Chicken, Water Sufficient for Processing, Organic Pea Protein, Organic Chicken Liver, Organic Dried Egg Product, Organic Coconut Flour, Organic Flaxseed, Calcium Carbonate, Sodium Phosphate, Salt, Organic Dried Alfalfa Meal, Choline Chloride, Potassium Chloride, Organic Guar Gum, Taurine, Minerals (Zinc Amino Acid Complex, Iron Amino Acid Complex, Copper Amino Acid Complex, Manganese Amino Acid Complex, Sodium Selenite, Calcium Iodate), Vitamins (Niacin, Vitamin E Supplement, Vitamin A Supplement, Thiamine Mononitrate, Pyridoxine Hydrochloride, Riboflavin Supplement, d-Calcium Pantothenate, Vitamin D3 Supplement, Biotin, Vitamin B12 Supplement, Folic Acid), Sodium Alginate, Organic Cranberries, Organic Rosemary, Organic Sage, Xanthan Gum. Many of the cans are half full. Mostly gravy and very little meat. Have had to mix dry food with each can. Doesn’t look like shredded chicken. All the meat chunks are the same size and shape. Processed! Can’t tell what is chicken and what is liver. All the same color and shape. I really wanted them to like this food, and occasionally they'll lick the gravy but that's it. Bummer, we need more organic products for cats. He would ask for his other food but he really begs for this!! No more tummy issues either. This will be his soft food from now on! This formula consists of cat bite-sized slices of meat in a thick gravy. 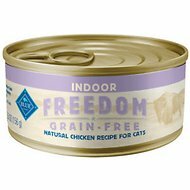 My cats like yummy juices as well as solid food so this is a big hit with them. 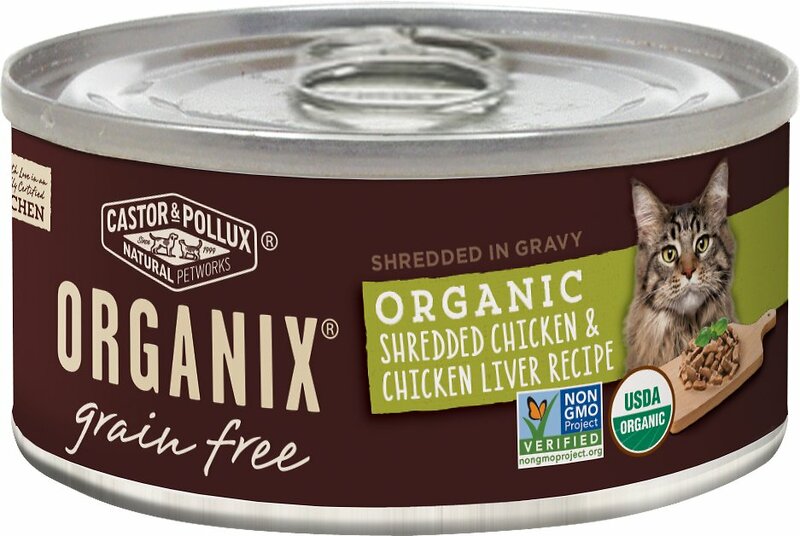 Also, my neutered male has tendency toward gravel in urine & he needs liquidy food - he loves this recipe & it's perfect for his urinary tract issues- keeps the blockage from happening, & I don't have to water down this soft food further like I need to with other formulations. I have 6 cats and they all like it. There is more juice than solid food. I mash it up (easily mashed). Somethings Happening To This Flavor of Cat Food! About 5-10 the cans were watery some more than others... And some dents. Cats get this flavor every forth day. 4 times when they had this flavor I found throw up on the floor. They love this flavor maybe they eat it to fast. It is their fav. I've read other reviews and can hardly believe we're talking about the same product! In the case I received, the cans contained more water than food which I had to supplement with part of a small can of another brand. One can was only 1/2 full. I hope Organix reads these reviews and steps up their Quality Control as I'd like to continue buying their products but I need to be assured of consistency before I buy this flavor again. Lots of meat with a nice gravy. Very Satisfied. She races to the bowl at feeding time. This is a pate-style food rather than "shredded in gravy." Picture is attached. Generally shredded/chunky recipes are more expensive than pate so this was a disappointment to not get what I thought I was buying. 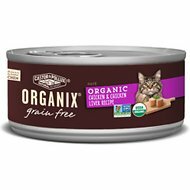 Luckily my cat seems to be eating it, but she tends to get tired of pate so only time will tell whether this stays in the rotation. I know some cats don't touch pate at all so I hope this is helpful for others!